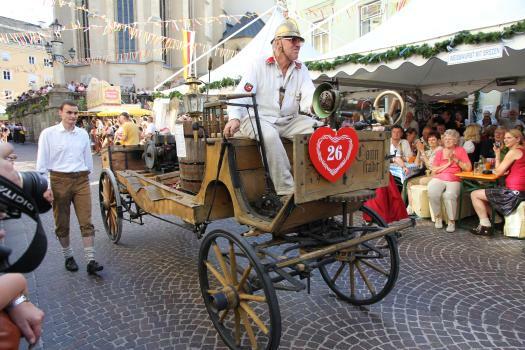 An old fire brigade car parades through the city of Villach in Austria at its famous annual Kirtag event. For this event several thousands gather in the town for listening to music, singing, dancing and enjoying food and beer for five days. The highlight is the parade on the Saturday.